Chop potatoes into large chunks. If they are small, leave them whole. Grill or broil the sausage and bacon to give them color. Let cool. Chop the bacon into 1-inch pieces and the sausage into pieces the same size as the potatoes. In an oven-proof pot or casserole dish with a tight-fitting lid, layer the bacon, sausage onions and potatoes. Season liberally each layer with salt, pepper and parsley. Pour the bullion broth over. Bring liquid to a boil on top of the stove, and then put lid on tightly and place in oven. Cook for two hours. Add more liquid, if necessary. There should be an inch of liquid on the bottom. Serve with Guinness and Irish Soda Bread. In another bowl, beat the eggs, salt and evaporated milk together. Mix egg mixture to the yeast mixture. In a separate bowl, measure out the bread flour. Add 3 cups of the flour to the yeast mixture and stir to combine. Put dough into the bowl and cover with plastic wrap or a towel. Let rise in a warm place for at least 2 hours. Can refrigerate at this point or proceed with recipe. Roll the dough out to about 1/4-inch thickness and cut into 3-inch squares. Deep-fry, flipping constantly, until they become a golden color. After beignets are fried, drain them for a few seconds on paper towels. While the dough is frying, you can mix each color of food dye into 1 cup of powdered sugar. Or, you can just leave the powdered sugar white. Using a mesh sieve, sprinkle (if using colored sugar, use some of each color) powdered sugar over the beignets while still hot. In a large bowl, mix the soup and the sour cream until well blended. Fold in the shredded chicken (and the green chilies, if using). Turn into prepared pan. Top with cracker crumbs and sprinkle with Everything Bagel Seasoning. Drizzle melted butter over the top of the crumbs. Serve with a green vegetable, such as steamed broccoli. Grease a 9x13 inch baking dish. Combine the water, butter and 1/2 cup of sugar in a small saucepan and bring to a boil. Place a few spoonfuls of cherry pie filling just slightly off center of each tortilla. Roll up and place seam side down in the baking dish. Pour the hot liquid over the 'enchiladas' making sure to coat the tops completely. The mixture will be watery. Cover and refrigerate overnight. Preheat the oven to 375 degrees F (190 degrees C). Combine 2 tablespoons sugar, cinnamon and almonds in a small bowl or cup; sprinkle over the top of the enchiladas. Bake for 35 to 40 minutes in the preheated oven, or until outside edges of the tortillas are golden brown. Let cool slightly before serving. In a separate bowl, sift the flour, baking soda and salt together. Slowly add the dry ingredients into the butter mixture and stir until combined. Fold in the M&M’s® and chill the dough for 1 hour, or overnight. onto a lightly greased tray, about 2 inches apart. 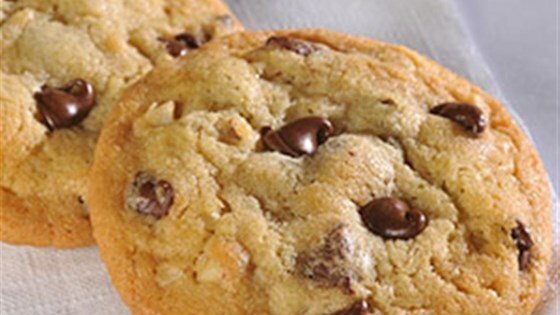 Bake for 8- 10 minutes for chewy cookies or 12-14 for crispy cookies. Note: Chocolate Chips can substitute for part of the M&M’s®. Roll into 1" balls (1" cookie scoop) and place 12 to a lightly greased cookie sheet. Bake at 350 degrees F for 7-9 minutes, until puffed and dry-looking on top. They will settle down as they cool. In the bowl of a stand mixer fitted with a paddle attachment, beat butter and sugar together until light and fluffy. Beat in eggs, one at a time. In a separate bowl, whisk together Gluten Free Flour, cream of tartar, baking soda, and salt to get out any lumps. Add this to the butter mixture and beat until just combined. Refrigerate dough for about 10 minutes. While waiting, stir together 3 tablespoons of sugar and cinnamon. 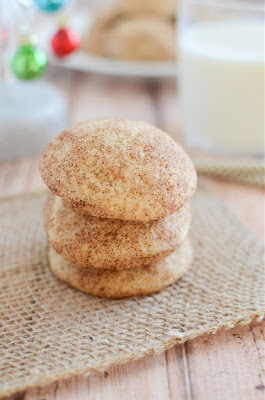 Roll about a tablespoon of dough into a ball, roll into the cinnamon sugar mixture, and place on the baking. Repeat, leaving about 2 inches between dough balls. Bake for 11- 13 minutes or until lightly golden, rotating the pans halfway through. Remove to wire rack to cool. Repeat with remaining dough. 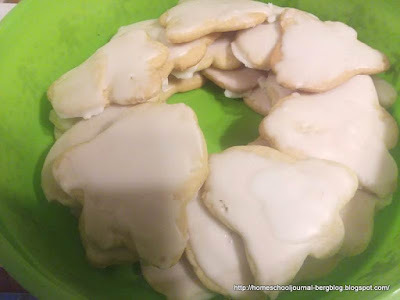 In a large bowl, cream butter and sugar until light and fluffy. Beat in eggs, milk and lemon extract. In a separate bowl, combine the flour, baking powder, salt and baking soda. Gradually add the dry ingredients to the creamed mixture and mix well. Cover and chill for 2 hours. Roll dough out on a lightly floured surface to 1/8-inch thickness. 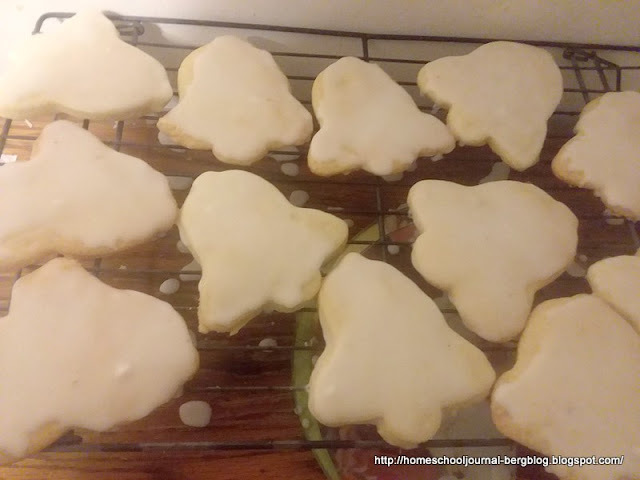 Cut with a 2-inch cookie cutter dipped in flour. Place 2-inches apart on ungreased baking sheet. Bake for 8-10 minutes. Allow cookies to cool for 3 minutes on the baking sheet before transferring to wire racks to cool completely. In a medium bowl, whisk together the powdered sugar, lemon juice and water until smooth. Dip each cookie top into the glaze. Return to the wire rack, glaze side up. Let cookies set until icing has set. 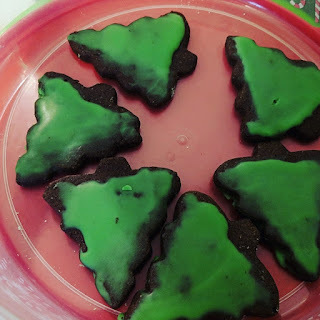 These chocolate sugar cookies will not spread when baking. Cream the butter and sugar. Mix for about one minute or until fully incorporated. Scrape down the sides of the bowl and mix again for a few seconds more. Over mixing the butter and sugar in this step will cause too much air to be incorporated into the dough and will spread more during baking. Let cookies cool to room temperature and decorate. 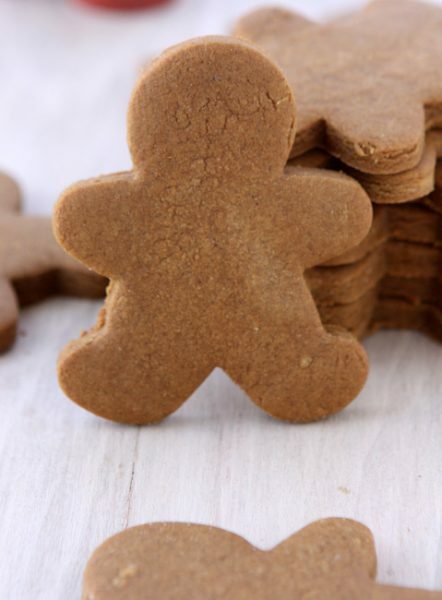 These gingerbread cookies won't spread. In the bowl of a stand mixer, cream the butter and sugar until they’ve just come together (you don’t want them too light and fluffy). Slowly mix in the flour mixture until your dough forms. Roll out on a lightly floured surface to 1/4″ thickness. Bake on a parchment lined baking sheet for 9 minutes. In a small bowl, combine the flour, sugar, nutmeg, and salt. In a large bowl, beat the potatoes, eggs, corn syrup, butter and sugar mixture. Gradually stir in milk. Pour into pastry shell. Place apple slices in a small greased baking dish, like a ramekin. In a small bowl, combine flour, apple pie spice, and brown sugar; cut in butter until mixture resembles coarse crumbs. Add oats and cinnamon. Sprinkle over apple slices. Bake, uncovered, at 350° for 35-40 minutes or until tender. Serve with cream if desired. 1 each: 334 calories, 12g fat (7g saturated fat), 31mg cholesterol, 127mg sodium, 56g carbohydrate (40g sugars, 3g fiber), 3g protein.